The Rocky legend was revived in 2015 with the excellent reboot “Creed,” which featured Jordan as Adonis trying to find his roots through boxing, and being trained by Stallone’s legendary Rocky, reformulated as an aging Philadelphia ex-champ who has lost his wife Adrian to cancer and is estranged from his only son Robert. The pair developed a father and son relationship that was finely tuned by writer and director Ryan Coogler, who went on to “Black Panther.” In “Creed II,” it is Stallone back on screenwriting duty (co-written with Juel Taylor), and while this sequel has less of a punch than the first reboot, it still contains a bit of the Rocky magic that has made this series endure. 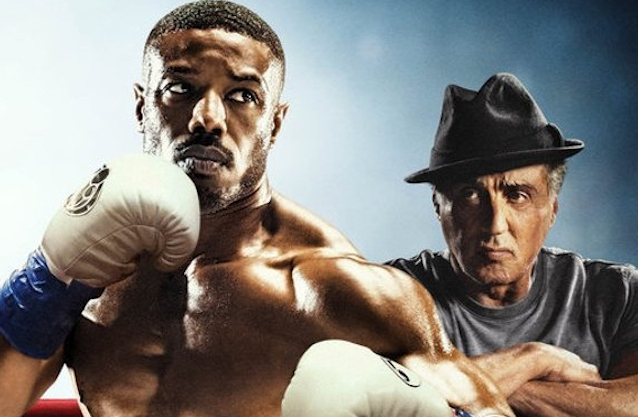 In the modern world of boxing, Adonis Creed (Michael B. Jordan) is going after the legacy of his father Apollo, as “Creed II” opens with him achieving the heavyweight championship, trained by the legendary ex-champ Rocky Balboa (Sylvester Stallone). In his personal life, Adonis is proposing marriage to his longtime pop star girlfriend Bianca (Tessa Thompson), and she accepts. In the background of all this, a Don King-like promoter named Buddy (Russell Hornsby) has discovered a Russian boxer with connections to Adonis. Viktor Drago (Florian Munteanu) is the son of Ivan Drago (Dolph Lundgren), the man who killed Apollo Creed in the boxing ring (“Rocky IV”). Hoping to settle an old score, Adonis agrees to fight Drago, but Rocky will have no part of it. This showdown will affect all the relationships in the young champion’s life. The story is slow moving, and is not as electric as Ryan Coogler’s work in the first Creed (TV director Steve Caple Jr. takes over). It’s more of a character study of Adonis, as he goes through his longtime struggles with both his father’s death and his singular obsession with making amends through the younger Drago. This hubris creates a riff between him and Rocky, and Stallone has one of his best scenes watching his prodigy from afar on the TV coverage of the bout. Michael B. Jordan creates an inner turmoil that gets the audience through the slow parts, his Adonis is definitely suffering from Daddy issues. Combined with the extreme physicality of his boxing physique, his character sometimes literally bursts at the seams. His opponent Viktor Drago, portrayed by amateur boxer and actor Florian Munteanu, has father problems of his own, but his Dad is still alive and portrayed again with avenging malice by Dolph Lundgren. The film fortunately lights up more with the return of Rocky in Adonis’s corner. This is a pattern of the Rocky films, that the characters have an inner turmoil, driving them to make mistakes that they must repair to move forward. The side story of Rocky’s estrangement from his son makes no sense, given the ex-champ’s loving nature, but it still hangs over the story effectively. In the true spirit of the Rocky series, everyone must find a sense of themselves by overcoming seemingly insurmountable challenges. Despite the sometimes strange path of Sylvester Stallone’s life, he still produces a tug of nostalgia and hope whenever he appears as that boxer character again. I’m sure in his mind, Rocky and Stallone are one and the same, each given an opportunity to come to the aid of the other.